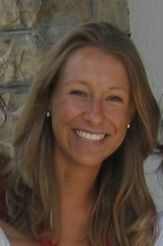 Lucia Corno received her PhD in Economics from Bocconi University, Italy, in 2009. Her field of interests are development economics and applied micro-econometrics. Her research focuses on the link between health choices and economic outcomes in developing countries. Recently, she started to study homelessness, by exploring the role of social networks on criminal behavior. Lucia was at CReAM from 2010 to 2013. She then took over a Lecturer position at the School of Business and Management at Queen Mary University of London.